From an early age, Jamuna Abaranchi has known two things about herself; first, she is different from the rest of her family and second, she wants more, much more, than what was given to her. Born in Chennai, India, to parents who held quite traditional views, Abaranchi was asked to study micro-biology, because her parents had heard it was a good subject to study, and she was initially hesitant but ultimately complied. By graduation, she had seen enough. When she was again asked to choose bio-technology, a subject so new in the universities that the professors barely knew anything outside of the textbooks, Abaranchi said no more. She would either be allowed to accept a job she had been offered or pursue her MBA. For parents who believed their daughter should get married after graduation, the job wasn’t really an option. In 2008, Abaranchi completed her master’s degree in human resources management. With a mandatory internship in the final year of her master’s program, Abaranchi had the time and opportunity to accept job offers. Over the next six years, Abaranchi took on a number of jobs, including a managerial role at a startup that had a heavy influence on her future choices. 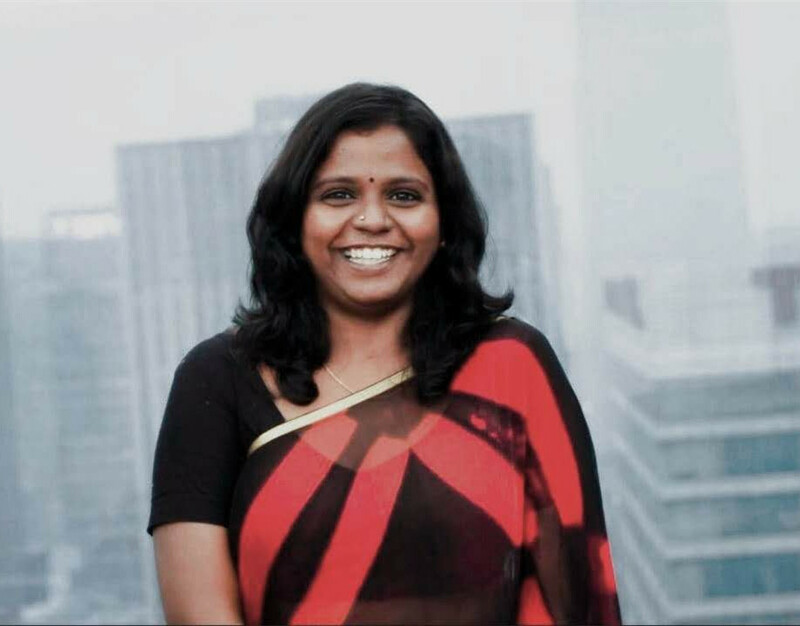 In 2012, Abaranchi was looking for a new adventure and decided to found her first startup, Zelph Caampo Corp., an on campus soft skills training firm that provided training across the Indian states of Tamil Nadu and Kerala, and even Sri Lanka. Abaranchi had to keep her venture a secret not only from her parents but from all of her near and distant relatives as well. After two years, her life had become quite stagnant, so Abaranchi needed a new challenge and this time she chose to take an even bolder step and go abroad. “I was challenged by a Chinese friend returning to his country to give him a farewell gift that was not made in China, which I succeeded in finding, but then he turned the gift basket upside-down and showed me the stamp that read “Made-in-China.” That’s when I decided to go to China,” she said. Bags packed and passport in hand, Abaranchi announced to her family that she was going to China, and it was instantly assumed that she was running off with some lover. To their patriarchal mindset it was impossible to imagine a woman wanting to be her own person and aspiring to something more than a white picket fence. During her first year in China, she focused on improving her Chinese language skills at Zhejiang University in Hangzhou. Abaranchi received a job offer in Shenzhen in January 2016. However, after getting a taste of entrepreneurship, working under someone no longer appealed to her. Abaranchi has always had a love for languages and is skilled in five of them. Immersed in the international dynamics of Shenzhen, she came up with the idea of starting a translation company. In 2017, she accepted her last job offer at CCJK technologies as she prepared her startup. In the summer of 2018, Seer Source was launched. In a short period of time, Abaranchi has managed to expand her business to an office in Nanshan with seven employees and several freelance contractors. She has a clientele across Europe and China, and is now targeting the Latin American market. Her parents have slowly started to accept her uniqueness and her need for independence. She is envied by all of her friends for having the courage to achieve a life they could only dream of. The thing Abaranchi loves most about China is that it’s not a sexist country. She loves reading fiction, spending time with friends and cooking for them. Abaranchi might have left India, but she still carries a little piece of it in her heart and prefers to dress in the formal Indian attire of a saree for business meetings.